When British Rail drew up the specification for the Class 73 electro-diesel locomotive, in the early 1960s, they decided the locomotives would have the following characteristics. The ability to go anywhere on the then Southern Region’s third rail electrified network. The ability to travel on Southern Region’s non-electrified lines using the onboard diesel engine. The ability to haul a heavy train at over 80 mph. The ability for multiple working, with virtually all other trains in Southern Region. One of the side-effects of this specification was a narrow profile, so that the locomotives could use the narrow tunnels of the Hastings Line. This Class 73 locomotive at Tonbridge station certainly doesn’t look fat. In recent years, the remaining Class 73 locomotives have found themselves various niche uses. At one time, Class 73 locomotives pulled a rake of Mark 2 coaches to form the Gatwick Express. Gatwick Express/Southern still retains one locomotive for Thunderbird duties. Eurostar used two locomotives to rescue failed Class 373 trains. GB Railfreight use several examples to pull engineering trains. 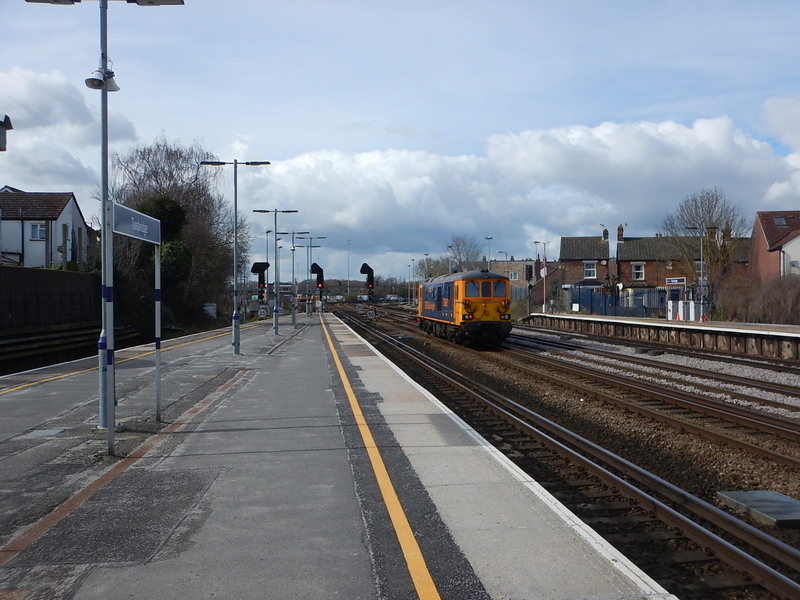 Merseyrail used four for shunting and departmental duties. South West Trains use an example for Thunderbird duties. For a locomotive designed over fifty years ago, they turn up in a wide range of places. As many are in effect last-resort traction, when you do see one on the main line, it is usually looks to be clean and in top class condition. But in the last couple of years, Class 73 locomotives have started working on perhaps the most high-profile niche market of all. This article in Rail Magazine, which is entitled Rebuilt ‘73/9s’ take over all Caledonian Sleeper work, describes the locomotives use in hauling the Highland portions of the Caledonian Sleeper to and from Edinburgh. Perhaps the last laugh for the Class 73 locomotive is detailed in this article in Rail Magazine, which is entitled Czech trip for Caledonian Sleeper Class 73. One of the class will be sent to the Velim test track in the Czech Republic to assist in the testing of the new Mark 5 coaches for the Caledonian Sleeper.